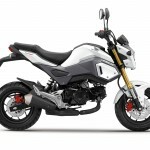 Honda announced a new “mini-streetfighter” redesign for the MSX125, the little monkey bike better known to Americans as the Grom. 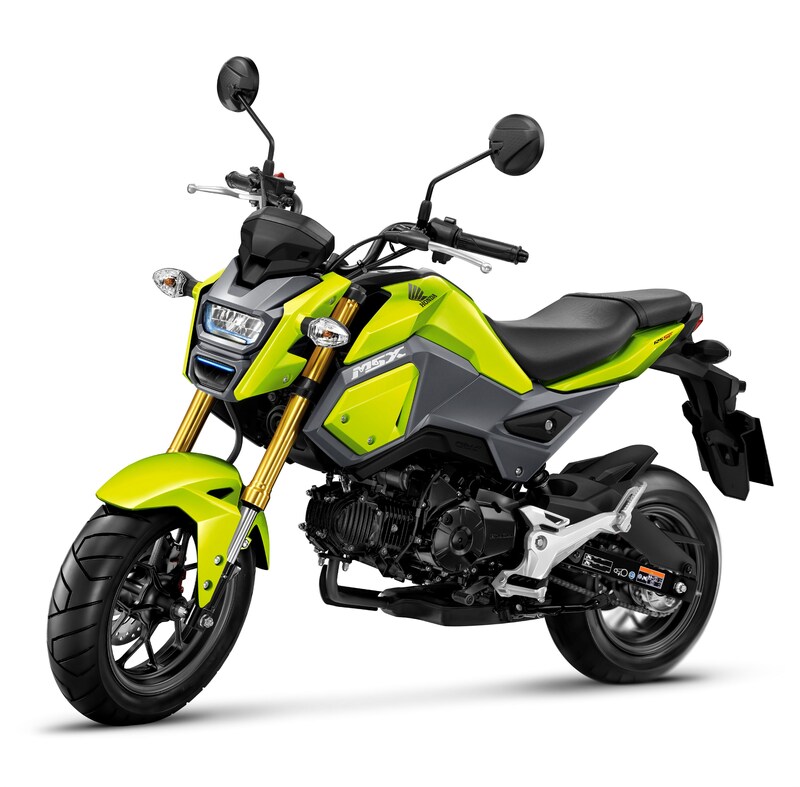 At the moment, the styling update has been announced in Europe and Thailand where it is manufactured, but we expect to see the more aggressive-looking Grom in the U.S. in the next several months. The MSX125’s low price, light weight, and low power output (perfect for Europe’s A1 license holders) made it a popular option, with Honda claiming sales of more than 300,000 units worldwide since it debuted in 2013. 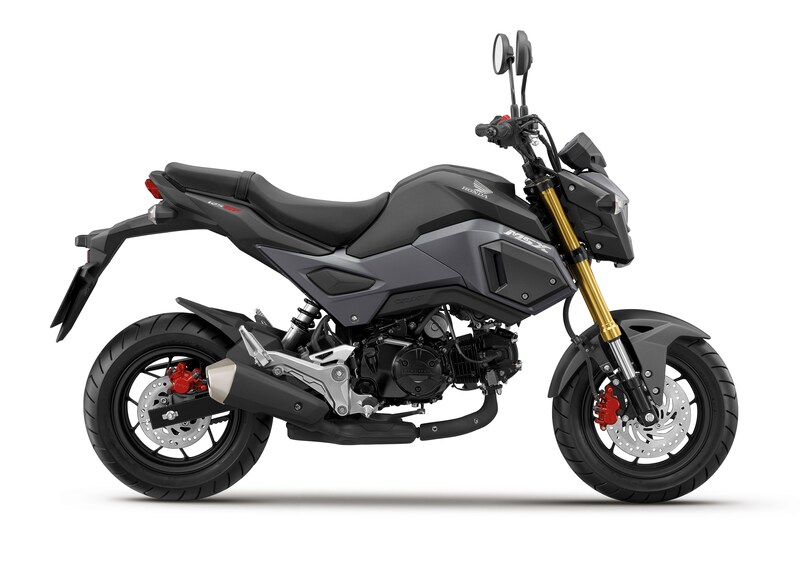 It’s interesting that Honda chose to go with a more aggressive look for 2016, a bit of a departure from the unintimidating styling that attracted scores of customers to the original design. 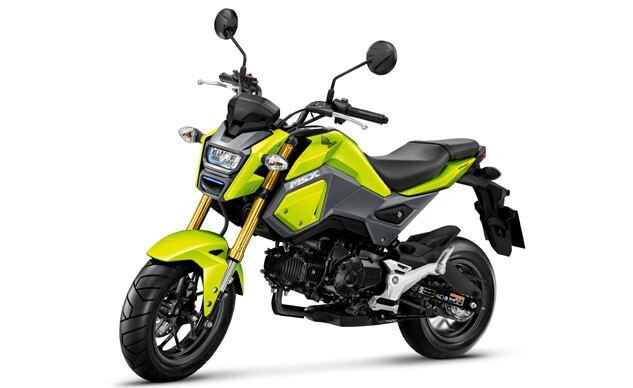 Discuss this at our Honda Grom Forum. 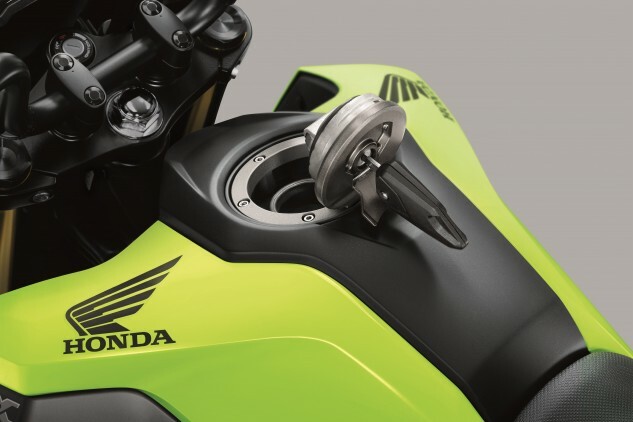 The seat remains 29.7 inches from the ground but does not come as far forward as it did on the previous model. 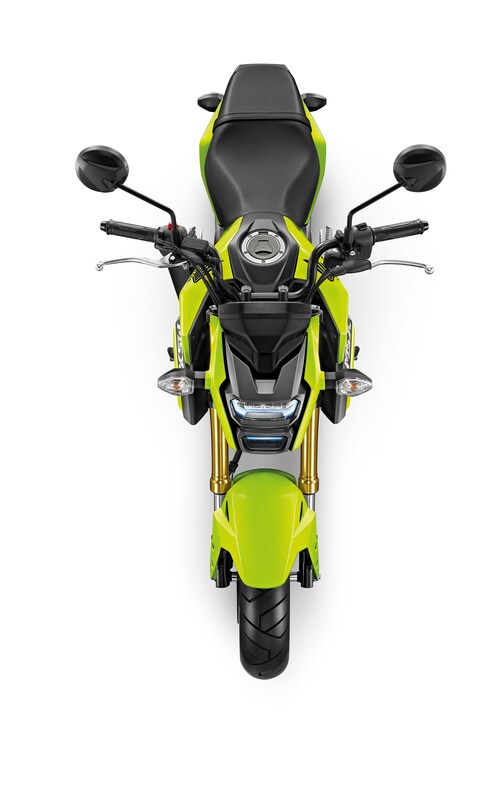 The 2016 model also gets a higher pillion seat. 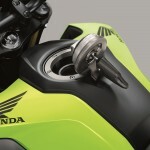 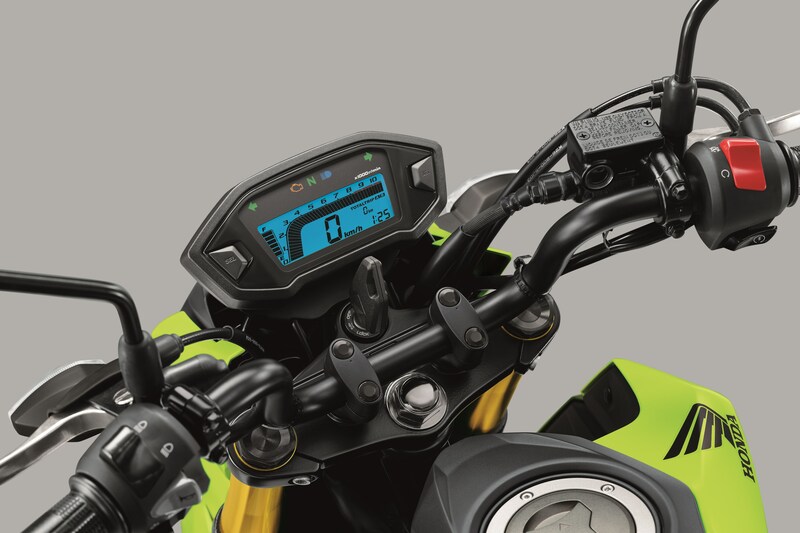 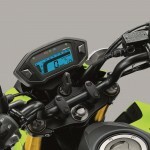 Overlaying it with the original Grom, we can see the 2016 MSX125’s handlebars are positioned farther forward. 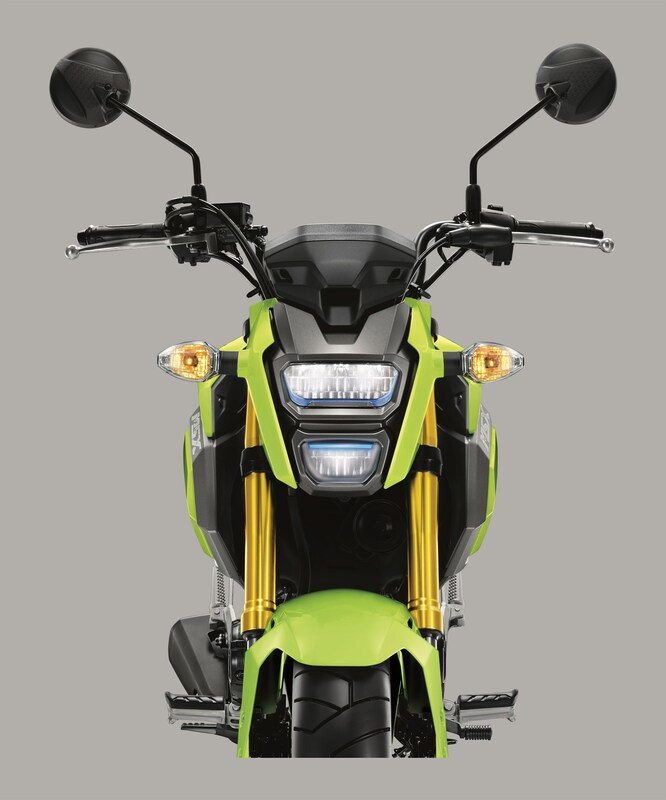 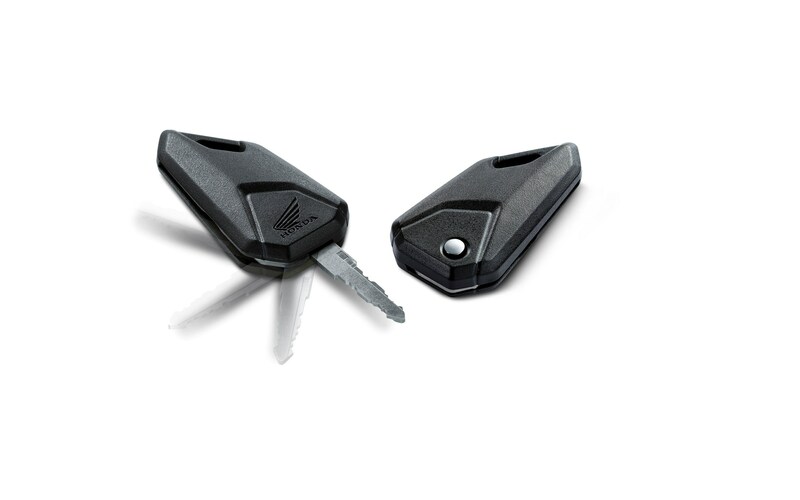 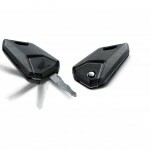 Mechanically, the 2016 model is similar to the original. 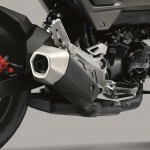 The most notable change is the shorter underslung exhaust rather than the large, high-mount muffler used on the original Grom. 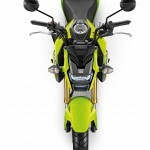 The engine remains a 124.9cc Single matched with a four-speed transmission. 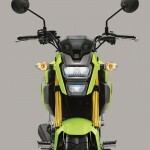 The wheelbase (47.2 inches), rake (25°) and trail (3.2 inches) also remain unchanged, as do the 31mm telescopic fork and rear monoshock. 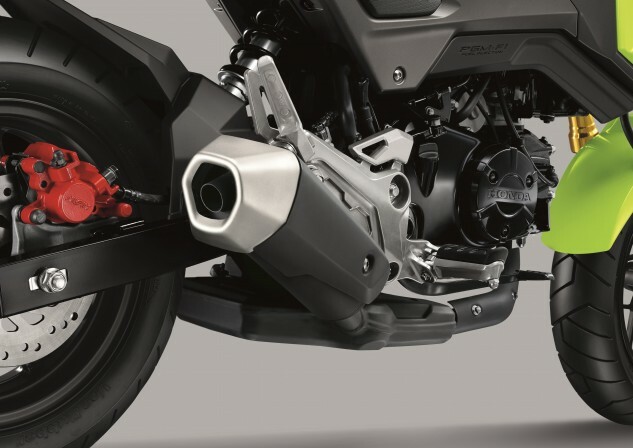 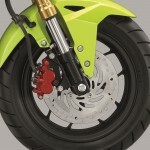 The brake calipers have been painted red (leading Sean Alexander to exclaim “Now it truly is a sportbike!”) but are again comprised of a two-piston caliper up front with 220mm disc and a single-caliper with 190mm disc at the rear. 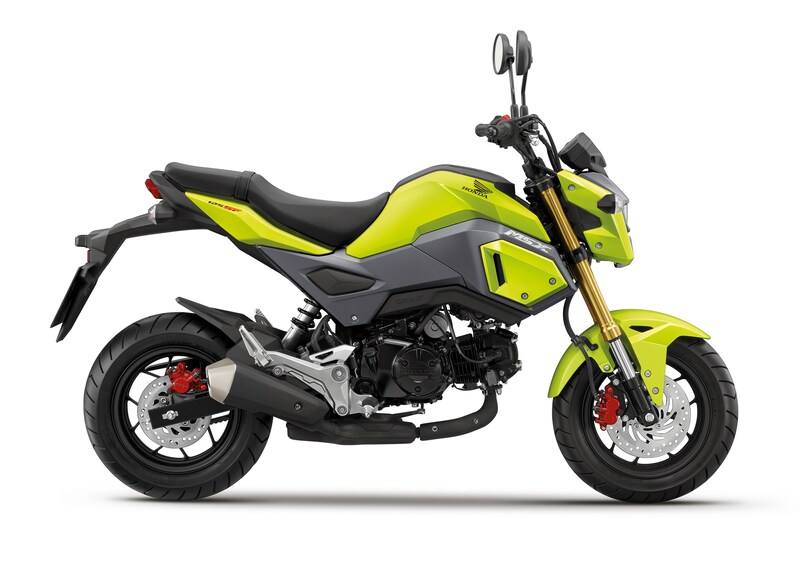 The 2016 MSX125 will arrive in European showrooms in the Spring, and we hope U.S. dealerships will follow suit with the updated Grom. 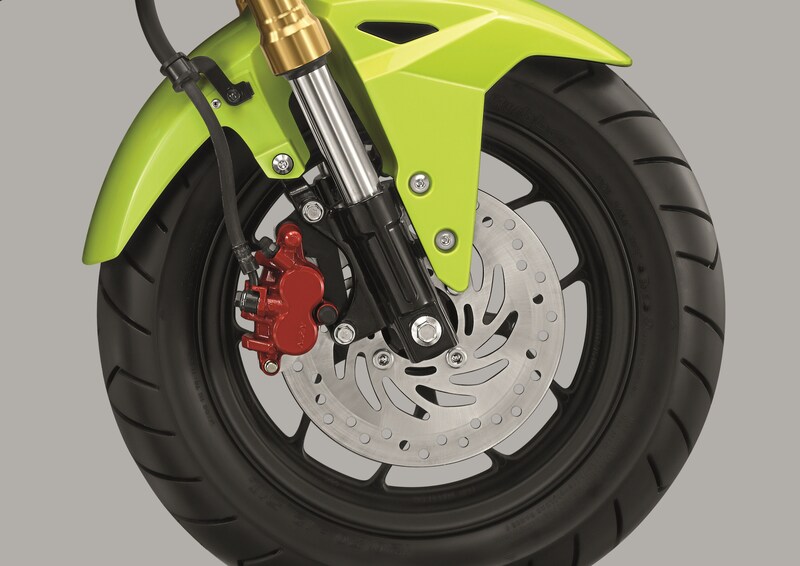 European customers will have a choice of Lemon Ice Yellow, Mat Axis Gray Metallic, Pearl Valentine Red and Pearl Himalays White colors.